Shop at natural food stores? Strive to live a conscious lifestyle? Want to contribute to global health and harmony? Wish to make a difference in the well-being of your community? Desire to live your passion, rather than just work at a job? If this sounds like you, InnerSelf could be the answer you've been looking for. 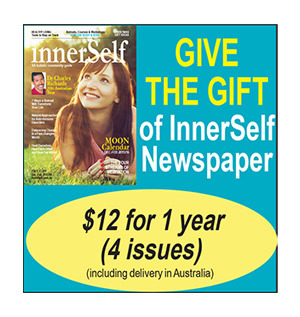 to join the InnerSelf Team as an InnerSelf newspaper owner. dedicated to building a successful InnerSelf newspaper in their own state..
You can apply today, with confidence in our proven track record. - so you don't have to. what we are doing, we invite you to join us. passion into a profitable and rewarding business.